The good folks over at Mad Robot Comics have gone all in with the launch of a Kickstarter for their first graphic novel collection of their Madhouse comic. We reviewed the first issue of Madhouse here and it's very much worth a look. Without further ado, here's writer Matt Hardy to tell you more. 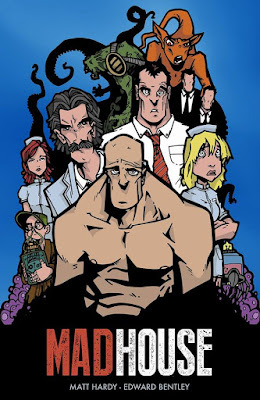 Madhouse is the story of a bewildered asylum patient fighting his way through a world of obscene science experiments. Madhouse is different each time. Each issue a new backdrop - experimental hospital wards, car chases, post-apocalyptic futures, even a spaceship. Madhouse is a labour of love. Writer Matt Hardy and artist Edward Bentley have poured their souls into this work. The nasty, twisted, scary parts of their souls, of course. 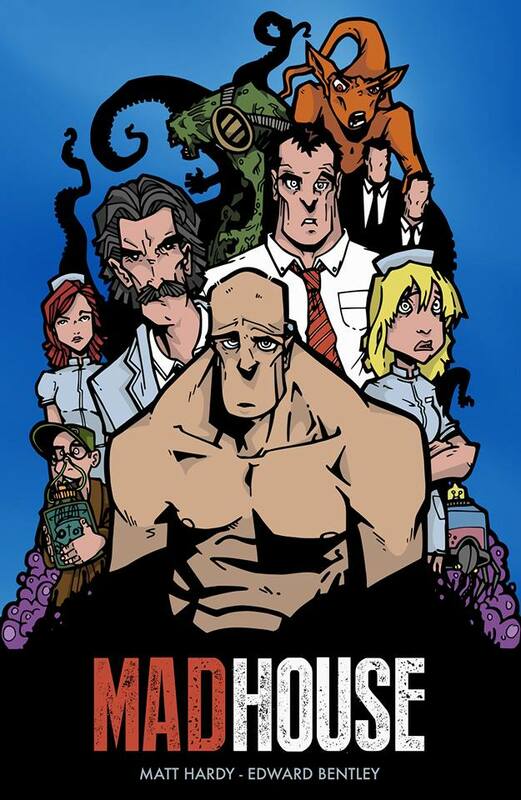 Madhouse is a 120-page full colour Graphic Novel that has just launched on Kickstarter. Madhouse is just a £5 pledge for a digital copy of a 120 page Graphic Novel. A £10 pledge for a physical copy - and there are some higher tiers for those who fancy tons of extra stuff or getting an artist to draw you in a comic. To find out more about the Kickstarter, click here. At the time of writing, the team is already 1/6 of the way there! You can also read more about the team in a Q&A we did with them here. And you'll find them on Twitter as @MadRobotComics. Go say hi. Wish them well. You know it makes sense.